craft fair dog, originally uploaded by jahansell. Do you sense a theme here? 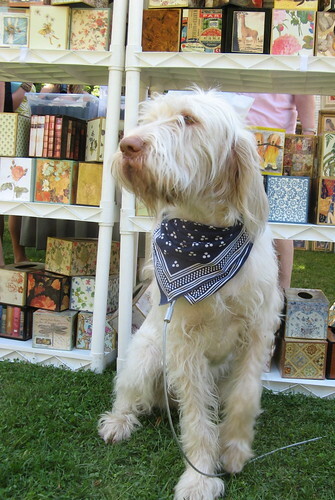 I have been taking pictures of dogs at the Millerton Farmers Market for years - they just add so much to the ambiance. (As long as they are on leashes.) This one was helping to sell his mistress' wares at the Sharon Arts and Crafts Fair.